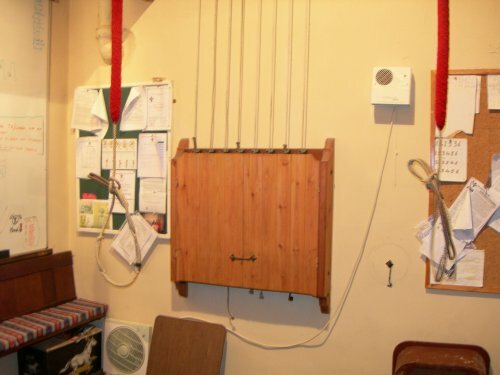 The Ellacombe Apparatus was designed by the Rev Ellacombe to allow all the bells to be rung by internal hammers from the ringing cabinet often on the ground floor without the need for Ringers. They allowed tunes to be played on the tower bells and churches could dispense with Bellringers where they did not see eye to eye with them. 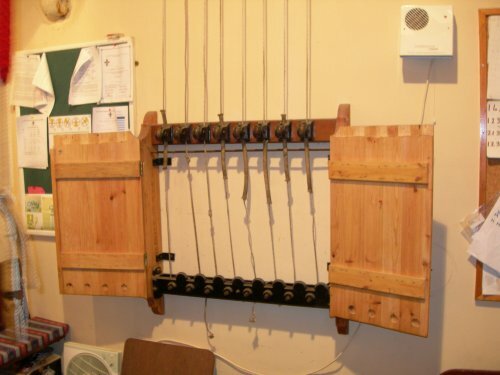 Many have been removed from belfries, but ours have been restored and can still be used. They do however need a lot of maintenance to both the ropes and the large number of moving parts. 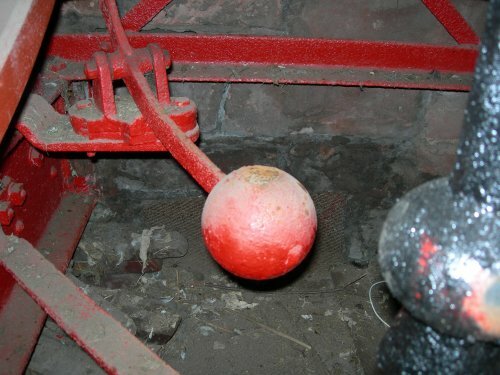 The bells must be in the down position during use. This entry was posted on Sun, Feb 14th, 2010 at 21:37	and posted in Uncategorized. You can follow any responses to this entry through the RSS 2.0 feed.